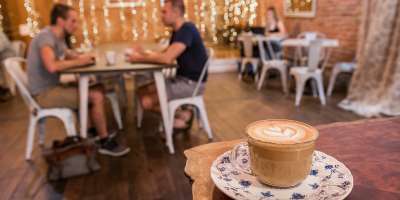 Fan favorite top coffee shops for experiencing the local flavor of Asheville. 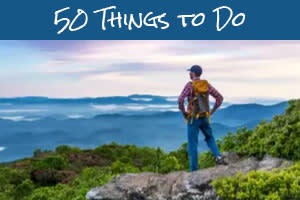 We asked our social media fans to nominate the best place in Asheville to enjoy a cup of coffee. After tallying up the votes, we put together a list of the top coffee hangouts. As a bonus, we&apos;ve added a list of Asheville coffee shops that offer a unique experience you can only find here in the mountains. One of Asheville&apos;s greenest cafes, Green Sage serves up organic coffee and a great list of healthy menu items. 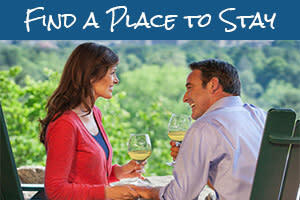 All of its locations (downtown, Westgate and south Asheville) offer ample, comfortable seating. Now with three cafes in Asheville, PennyCup Coffee has established itself as a staple of the Asheville coffee scene. PennyCup roasts its own coffee at its location in the River Arts District. In the past couple years, PennyCup added the artsy downtown location and an especially family-friendly east side location in the Haw Creek neighborhood. Locals love to take advantage of the opportunity to buy PennyCup Coffee by the pound. 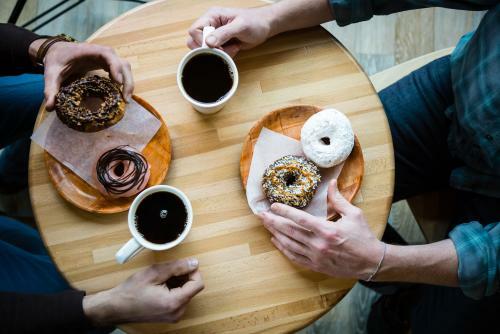 There are few more classic combinations than coffee and doughnuts! Vortex has fantastic offerings of both. Located in the South Slope Brewery District, Vortex brews "1000 Faces" coffee to go with its sweet treats. This is a local favorite in the River Arts District. At Ultra Coffee Bar, the coffee is organic and food is top notch. It&apos;s a great place to stop while you explore the many galleries and studios in this artsy district. This cafe is known for being a beautiful space that has preserved much of the original features of the building in which it&apos;s housed. From the exposed brick to the tables made of the building&apos;s original doors, Trade and Lore is an Instagrammer&apos;s dream. The shop sources as much locally as possible for use in its creative drinks. With a high-peaked roof and lots of natural light, Summit Coffee is a great hangout. It&apos;s located at The River Arts District&apos;s "The Foundation" -- a group of buildings covered in colorful street art and murals. Asheville favorites 12 Bones BBQ and The Wedge Brewing are just steps away. Summit sources its coffee direct from communities around the world, roasting beans in small batches at its North Carolina roastery. There&apos;s lots of seating and free Wi-Fi. Enjoy fine coffee and espresso from Mountain Air Roasting at this cozy lounge that&apos;s often described as a dessert-lover&apos;s dream. While you&apos;ll love the delicious coffee and expert latte art, you&apos;ll find it hard to resist the sweet treats French Broad Chocolate Lounge is known for serving. Choose from house-made ice cream, artisan truffles, cakes and even drinking chocolates (like the Liquid Truffle!). Old Europe serves up signature European desserts to go with its hand-crafted coffee drinks. 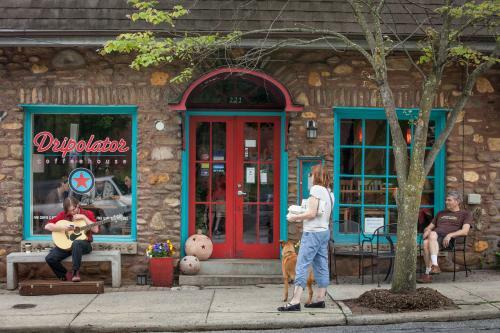 For more than 20 years, people have flocked to this cafe in Asheville to try favorites such as French Creamy, Hazelnut Napolean and Tiramisu. Grab a cup of coffee in one of the area&apos;s top independent bookstores. Malaprop&apos;s Cafe offers locally-roasted coffee and delicious treats from local bakeries. While you are there, go on a "blind date" with a book from the bookstore. Malaprop&apos;s has a section with books wrapped individually in brown packaging paper. You can&apos;t unwrap the book until you buy so it&apos;s a surprise! In the beautiful, nearby town of Black Mountain, the Dripolator is a community gathering spot in downtown. 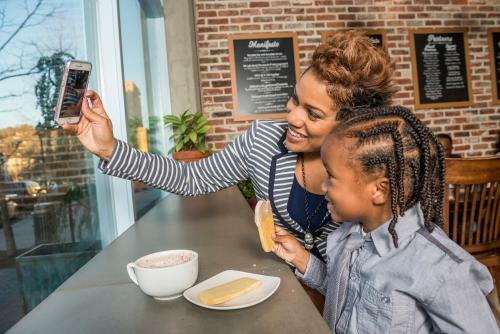 You&apos;ll enjoy free Wi-Fi and outdoor seating. The Dripolator serves up freshly-roasted organic and fair trade beans. They also have fresh baked pastries and desserts. Coffee served out of a bright red, double-decker bus? It&apos;s an iconic Asheville experience at Double D&apos;s in the heart of downtown Asheville. Sip your coffee inside the bus or out in the courtyard. Hand-crafted goodness is what High Five is all about. High Five now has three locations in Asheville. It&apos;s newest location is located in Woodfin, just north of town on the banks of the French Broad River. Izzy&apos;s is an Asheville classic. It&apos;s no wonder this cozy, art-filled cafe receives such high praise from visitors and locals alike. Izzy&apos;s serves a variety of specialty drinks, a curated beer and wine selection and house-baked goods and snacks. You can experience Izzy&apos;s Coffee Den in downtown Asheville or Izzy&apos;s Coffee House in West Asheville on Haywood Rd. Fractals -- This quirky neighborhood coffee shop in West Asheville offers interactive exhibits that you can play with while you&apos;re there! 10th Muse -- An up-and-comer in the local coffee scene, 10th muse offers a delicious and fun array of dessert-style coffees. 10th Muse is located in the London District of Biltmore Village, sharing a space with a gallery and vinyl record company. In addition to the tasty coffees, the shop has a menu that includes nine kinds of avocado toast. And, 10th Muse is big on being environmentally friendly, from its cups to its lids. For the CrossFitters/gym rats out there, do 10 burpees for your barista and receive $1.50 off a specialty drink! Forage at Flora -- Located inside one of the most gorgeous floral shops you&apos;ll find, Forage is the perfect place for a coffee and/or an impromptu Instagram photo shoot. Battery Park Book Exchange -- Discover thousands of books while you enjoy a refreshing beverage from the espresso bar or wine bar. The shop is also known for being especially dog-friendly. Odd&apos;s Cafe -- Just as the name suggests, Odd&apos;s is a great place for experiencing the true vibe of West Asheville. The shop specializes in high-quality, all natural products. As mentioned above, PennyCup is a small-batch roaster in Asheville, roasting at its River Arts District location. Many of the coffee shops mentioned here serve PennyCup coffee. Another key local roaster is Dynamite Coffee Roasting Co. Dynamite is located in nearby Black Mountain and is 100 percent certified organic and fair trade. Dynamite tracks down the best coffee in the world and roasts it locally in nearby Black Mountain before the coffee goes out to many area shops. Celebrate all things coffee at the Asheville Coffee Expo! In 2018, the Asheville Coffee Expo falls on International Coffee Day. The free event features nearly 50 vendors, including local/regional vendors and coffee shops. Vendors will be serving unique coffee creations. Summit Coffee will lead educational tastings highlighting all of the roasters participating. The festival will also feature a barista challenge. And, there will be food available. When: Saturday, September 29, 10 a.m. to 2 p.m.
Photo credits: Trade and Lore (top photo), French Broad Chocolates and Forage photos by Emily Chaplin. The Dripolator photo by Art Meripol. Vortex photo by Jared Kay.